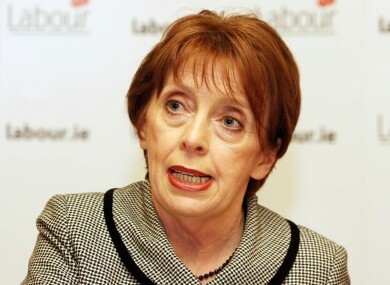 FORMER MINISTER OF STATE Róisín Shortall has said Minister for Health James Reilly “blocked” many of the health reform initiatives she worked on. Speaking this morning on RTE’s Marian Finucane show, Shortall said a major contributing factor to her resignation was the difficulties she experienced with reforms she tried to bring about that Reilly did not agree with. Shortall said “a number of initiatives” were blocked by the Minister for Health and she felt her effort was “completely wasted”. “Why would you stay in work, if your boss doesn’t support you?” she said. Shortall said one particular incident where her reforms were blocked was in relation to increased staffing in hospitals for which the department had a €20 million allocation. The former minister of state said black spots were identified and it was discovered that there were “huge variations in staff across country” particularly in areas of social deprivation. On the eve of her announcement of proposals for staffing, Shortall said the minster’s advisor called her to tell her the reform would not go ahead for a number of reasons. Shortall revealed that she had considered resigning in July but tried to hold on as “there was a view that maybe James Reilly wouldn’t be around in the longer term”. I had to make a call on this. I had serious differences with James Reilly and his ability to manage the health service. I believe he was going in a totally different direction. The former minister of state said her inclination was to vote no but said that would have been a “one day wonder” and instead she used the opportunity and her speech to highlight some of her concerns. When asked if she felt let down by Labour, Shortall said she hadn’t been supported and that was why she resigned from the party. “There’s a certain closing of ranks and certain attempts to smear you,” she added. Shortall also said she felt as though Tánaiste Eamon Gilmore had ultimately backed James Reilly over her when she brought her concerns to him. “If the Labour party isn’t about the allocation of resource based on need than what is it about?” she said. When asked if she thought the addition to a list of two primary care centres in Reilly’s constituency was “stroke politics”, Shortall agreed that it was. Email “Shortall says reforms were "blocked" by Reilly”. Feedback on “Shortall says reforms were "blocked" by Reilly”.